June 7, 2001, Greencastle, Ind. - Heather Unruh, an award-winning broadcast journalist and a 1989 graduate of DePauw University, is in her first week on the job as morning news co-anchor at WCVB (Channel 5) in Boston. She will also provide medical reports, joining a team of specialists at WCVB that includes Dr. Timothy Johnson, who also reports for ABC News. Unruh makes the jump to the nation's sixth largest television market from Oklahoma City, the 45th largest, where she was early evening anchor and medical reporter at KFOR. 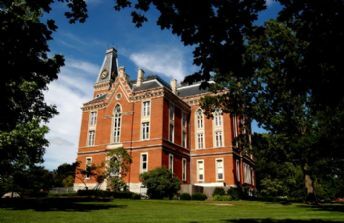 It's a homecoming of sorts for Unruh, who interned at WCVB while a student at DePauw. She has several relatives in the Boston area, and her parents are moving there, and Unruh married her husband Nick Little on Nantucket. "It's one of my favorite cities," Unruh said of Boston in an interview with the Daily Oklahoman. The journalist says her new job will allow her to spend more time with her children, 3-year-old Will, and Kyla, who is 1. "As an award-winning journalist and top-notch anchor, Heather is sure to be an exceptional addition to NewsCenter 5," said WCVB News Director Coleen Marren. "Additionally, her demonstrated expertise in one of this station's hallmarks -- medical reporting -- makes a perfect fit." Heather Unruh has accumulated a number of awards during her career, including an Emmy Award, the Clarion Award from Women in Communications, Inc., and the Gracie Allen Award from the American Women in Radio and Television (AWRT). Unruh recently learned that she is receiving the top national recognition from the AWRT, the "Grand Gracie," for excellence in reporting. You can learn more about Heather Unruh and her new job in this story from the WCVB web site. 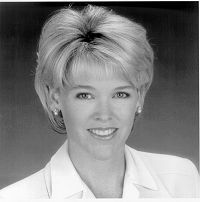 Besides WCVB and KFOR, Heather Unruh has also worked at WVTM-TV in Birmingham, Alabama; both WBNG-TV and WMGC-TV in Binghamton, New York; and WVEU-TV in Atlanta.